Flower Delivery Sympathy. Finest florists and flowers. Not everyone is capable of sympathy, and that’s a shame because in some particular moments people really need support that can be given only by the ones who are able to show compassion. Among these moments that require expressing your concern is the loss of someone who was close to you. That’s when people need the presence of other people and their wholehearted consideration. And if you can’t be by their side in person, you can simply send Sympathy Flowers from Flower Shops to offer your deep condolences. It’s not much, but it’s better than just a phone call, or worse, doing nothing Sympathy Flowers Deliveryat all. By sending flowers, you can give your friend hope that better days will come and show that you care. While it may be obvious that the departed would never be forgotten, but by giving flowers you express your emotions and share in the grief, even if it’s from a distance. You know how sorrowful the atmosphere at the funeral service is, but with flowers in the background it can be toned down a little. The emotions at such an event are intense, and our advice for you is not to order some extremely bright flowers that distract the eye. Choose something pastel or even white, which is considered not irritating. If you’re hesitant on what exactly to send, we won’t mind if you call us for a piece of advice. It’s better to be informed in advance if you don’t want to offend the bereaved with an inappropriate flower arrangement. 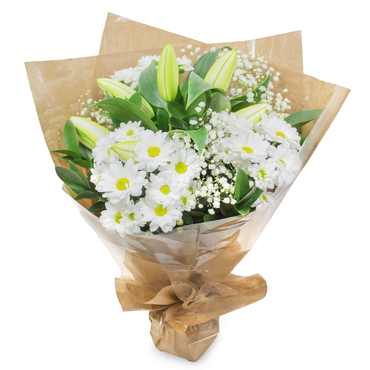 And if you live nearby and can be present at the funeral, you still might consider bringing Sympathy Flowers not because your presence is not enough but because they are beautiful and calming, which can certainly contribute to the overall atmosphere. 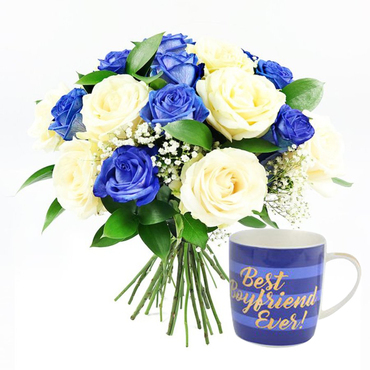 There are various types of flower arrangements which you can choose from. Casket Sprays are the large ones that go over the coffin, but they are usually ordered by the grieving family. It’s not unusual to present a living plant if you know that it was the deceased’s favourite. After all, it is Potted Azaleahim or her that’s being sent away. If you haven’t heard, carnations are considered suitable for funerals flowers. A wreath is also a bigger arrangement that resembles a ring. It’s more official than the usual flower bouquets, and it’s a good option as well. Fresh-cut flower bouquets are the most popular ones for this sad occasion, and there’s quite a diversity to choose from. White is commonly the go-to colour because it’s neutral, and you can’t go wrong with it. It’s good that a lot of flower types come in a white or cream shade. Once you pick out one of our bouquets, you can choose an appropriate vase for it and have them delivered in it. It will surely look more sophisticated and thought over. But don’t forget that you’ve gathered to say your final goodbye to somebody’s friend, loved one or parent, so it is important your Sympathy Flowers, as gorgeous as they may be, are appropriate for the occasion and not too showy or bright. Flower Shops is well-prepared and has great experience in making floral arrangements for funerals. We simply know what’s suitable and what’s not. That’s why if you order the flowers from us, you don’t risk making a mistake with the ones of your choice. We always deliver the orders on time and in perfect condition, but that should go without saying. For further questions, please, contact us on this number: ‎020 3900 2440. They have the best prices on their sympathy flowers from all the places I called to make the inquiries. Their quality and the way they serve their clients is also exceptional. I really can't thank you enough, just keep up the good work. We ordered some flowers from Flower Shops for a funeral and everything turned out well. Their choice of flowers matched the event, and they at least eased up the pain we were going through for the loss of our granny Jane. Thank you for work well done. I had travelled on a business trip to a different city when I heard the sad news about my boyfriend's grandfathers' demise. I wasn't able to attend the funeral, and I had heard about this flower shop from a friend, so I called and arranged for a delivery of some nice flowers. This really worked out the magic since after the funeral I had a call from my boyfriend expressing how thankful he was for my generosity. Thank you, guys, for making this happen within a short notice. This is the fourth time that I'm visiting their online shop for sympathy flowers. They make the best bouquets of flowers ever, and I will always make my way there for more flowers. Trust them with your money, and they will create great value for it. I've used their services for quite some time now, and their services have not been short of superb. The florists are very conscientious regarding upholding high quality in every bouquet they create. I will always make a return purchase when need be. I urgently called this company to arrange for a flower delivery for a sad event. I thought it would take them ages to come to my rescue, but surprisingly, in a few hours, they were at my doorstep. Thank you for the short notice delivery.